For some comic relief, browse through these. Mrs. Horror Boom actually wrote some of them down in case we run out of new, amusing ways to express rage and pain. Still wondering where GRRM is hiding out – I wouldn’t be brave enough to go out in public for a week or so, in fact I might even hire a bodyguard temporarily (and hope they weren’t into GOT/ASOIAF). INTENSE SPOILERS FOR LAST NIGHT’S EPISODE OF GAME OF THRONES. SERIOUSLY, QUIT READING RIGHT THIS INSTANT IF YOU HAVEN’T WATCHED IT. 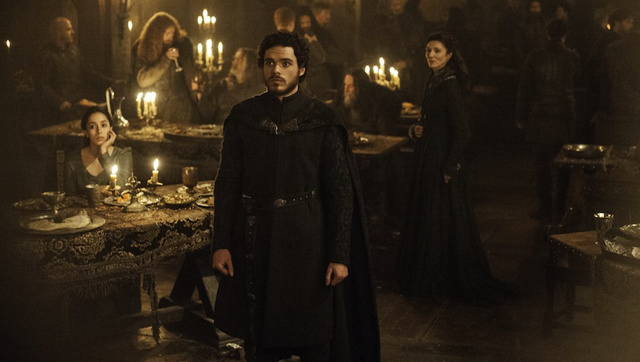 « Older Post Game of Thrones: Red Wedding Reactions Compilation	» Newer Post YEAH! ‘The ABCs Of Death 2’ in Production Now – Check Out The Details Here (MoreHorror.com)!